Snow and cold records in the U.S. and the Middle East. Baby, it’s cold outside. – Len Bilén's blog, a blog about faith, politics and the environment. Snow and cold records in the U.S. and the Middle East. Baby, it’s cold outside. 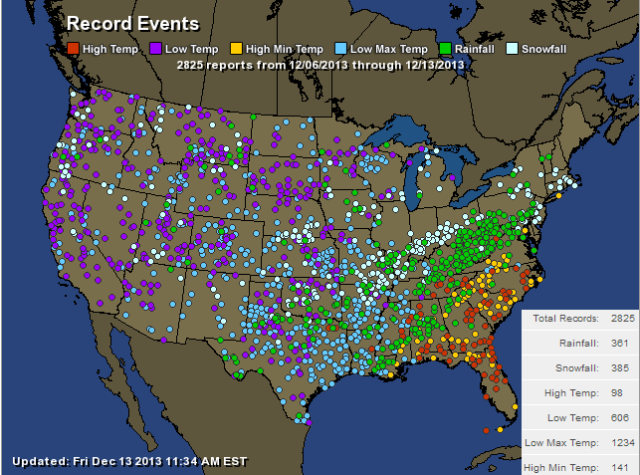 Low Temp: 606 + Low Max temp 1234 + Snowfall 385 = 2225 new cold records. Compare with 98 high temperature records, and 141 high minimum temperature records. But that is only here in parts of the U.S, right? Cairo is a city known for being hot and stuffy. But as these incredible pictures show, things have changed. 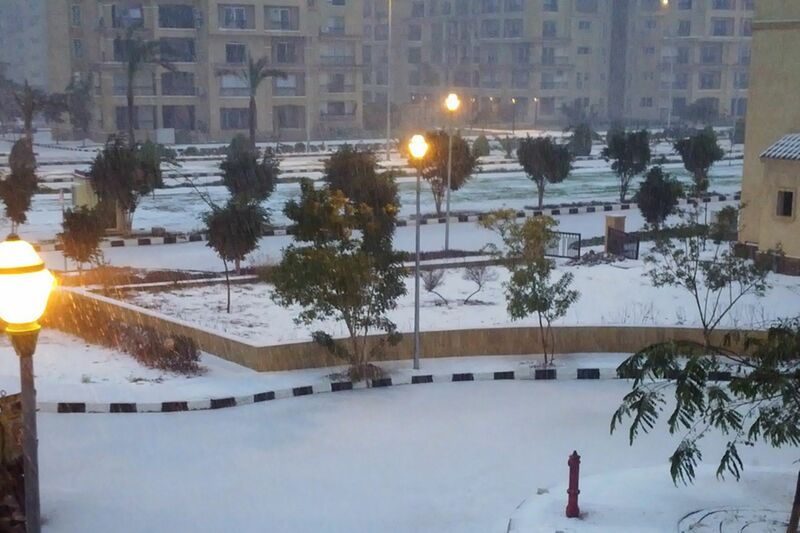 The Egyptian capital has seen snowfall for the first time in 112 years. 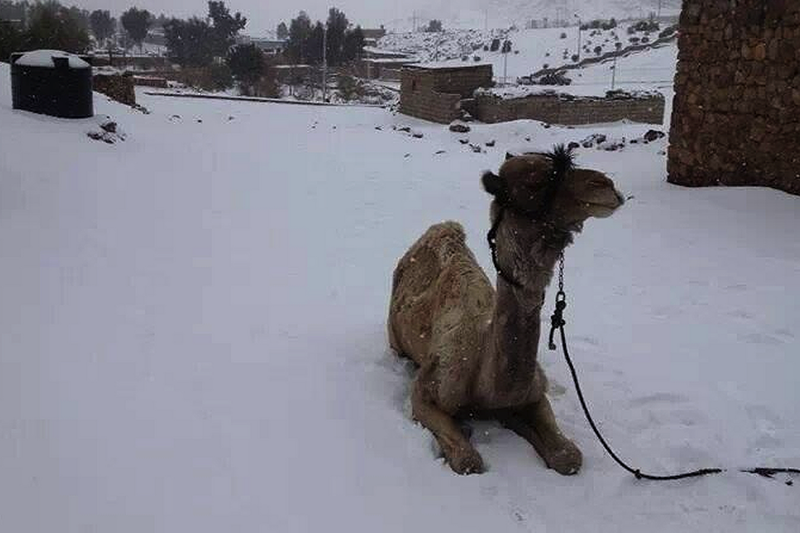 As reported by Buzzfeed, Egyptians who had witnessed snow for the first time in their lives were left amazed – with the Arabic word for snow trending on Twitter. Incredible pictures showing the normally sultry city were also posted on twitter. A camel looks strangely out of place. Even in swank uptown Cairo the snow is heavy. Other countries including Turkey, Syria, Jordan and Israel also experienced widespread snow. Temperatures have dropped so much that in Turkey they have been below the monthly average by almost 10C. Still believe there is global warming? Previous Previous post: Funeral selfie. Obama, Cameron and Helle Thorning-Schmidt are having a good time during the sermon part of the memorial service. A Limerick. Next Next post: How do we celebrate Christmas?